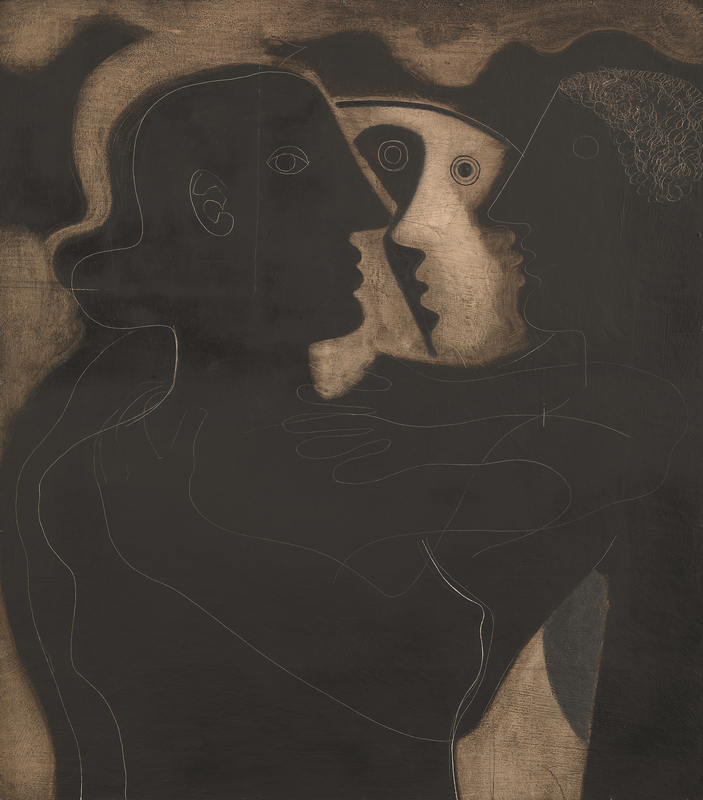 ‘Idealism & Uncertainty Classicism in Modern British Art’ at the Pallant House Gallery is this season’s must see exhibition. Simon Martin, the gallery’s Artistic Director and Curator of this show, has once again demonstrated his remarkable insight into this period of British artistic endeavour. The exhibition is the first to explore how Modern British artists referenced the past as they developed a distinctive form of modern art. It is a particular characteristic of the British that as we embrace the future and celebrate the modern we always have one eye on the past. Our art, like our nation’s history, reflects procession as well as revolution. The work on display reflects the experience of war and the social concerns which defined Britain in the 20th century. Against the backdrop of the political uncertainties of the 1930s, classicism in Britain became a style associated with progressive traditionalists. 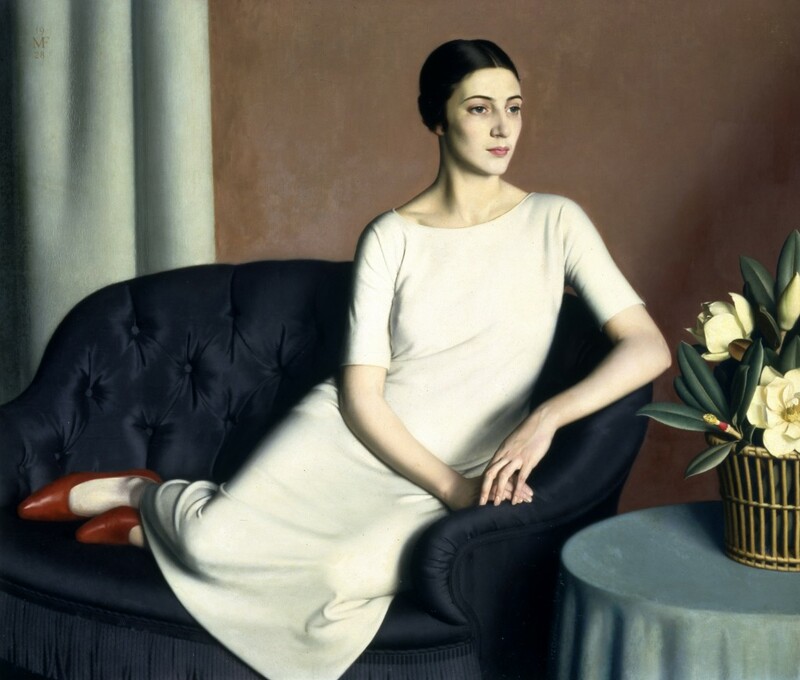 This influence is reflected in the work of artists like Meredith Frampton who sought clarity and precision in her portraits. After the experience of the Great War artists like Wyndham Lewis and Frederick Etchells developed a more rounded form of figurative art in contrast to their earlier Vorticist and Cubist work. Whilst figurative artists like Paul Nash experimented with Surrealism their art was still broadly figurative, executed with a purity of line. This search for purity of line and simplicity, Simon Martin argues, is also expressed in the work of abstract artists associated with groups like Unit One. Ben Nicholson’s exquisite study of his lover, the sculptor Barbara Hepworth, depicted in silhouette communicates an extraordinary tenderness through its paired down qualities of line and tone. Here Hepworth’s head gazes into the eyes of a man, presumably Nicholson, who is depicted as a Roman Emperor or god. The couple had holidayed in St Rémy de Provence at Easter in 1933 and it is likely that the nearby Roman ruins of Glanum influenced the work. 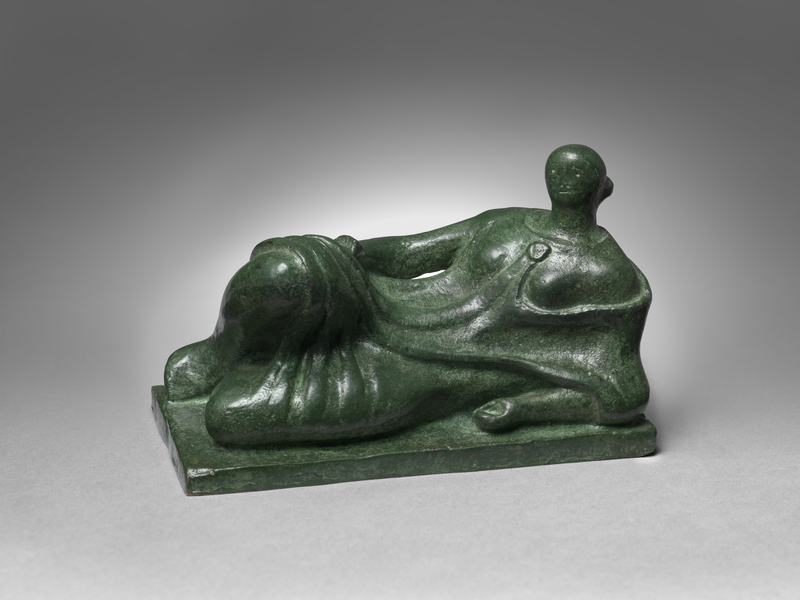 Henry Moore’s figures also express a concern with, what Simon Martin describes as, ‘classicising form’ which can be seen in the recumbent figure from 1945. The strength of the narrative of this show is exceptional. The works are confidently placed in the context of their time and the procession of classicism in art history, re-interpreted by Modern British artists. Simon Martin is to be congratulated. I am excited that Toovey’s Fine Art Auctioneers are sponsoring this ‘must see show’. ‘Idealism & Uncertainty: Classicism in Modern British Art’ at Pallant House Gallery, 9 North Pallant, Chichester, PO19 1TJ, runs until 19th February 2017. This Saturday a remarkable concert at St Mary’s Parish Church in the Causeway, Horsham, commemorates the life of Henry Burstow who died 100 years ago this year. 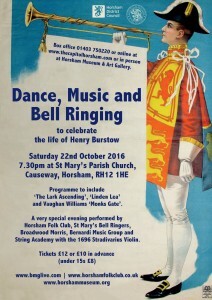 Burstow’s love of Bell Ringing and Folk Songs will be celebrated in words, dance, music and bell ringing by the Horsham Bell Ringers, the Horsham Folk Club, the Broadwood Morris Men, the Friends of Horsham Museum and international violinist, Andrew Bernardi, playing the 1696 Stradivarius. 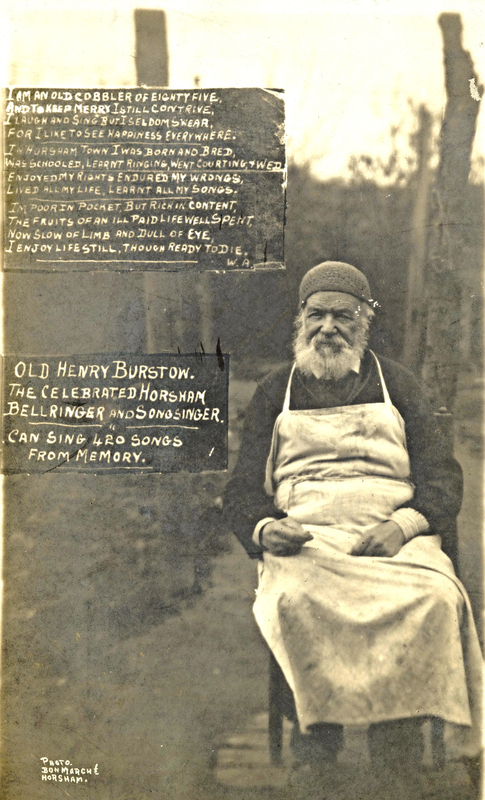 Henry Burstow was Horsham’s cobbler, a bell ringer and folk singer. Writing about his love of folk music Burstow said ‘In learning and retaining all my songs my memory has seemed to work quite spontaneously: many of the songs I learnt at first time of hearing; others, longer ones, I have learnt upon hearing them twice through.’ His knowledge and memory of Sussex folk music drew the attention of Lucy Broadwood and the composer, Ralph Vaughan Williams, who visited the area in 1904. There is a Eucharistic quality to the way that Vaughan Williams draws these particular lines together from Meredith’s much longer poem. It never fails to move and uplift me. 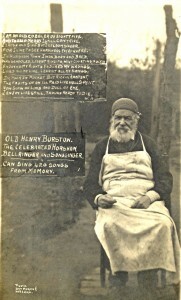 Writing about bell ringers in his reminiscences Henry Burstow said ‘To all brother campanologists and friends who remain of the hundreds with whom I have had the pleasure of meeting I offer my kind regards, and thanks for the hearty welcome and good fellowship they have always shown me.’ With bell ringers at the heart of this event you can be assured of a warm welcome on Saturday. This unique concert takes place this weekend on Saturday 22 October at 7.30pm at St Mary’s Parish Church, Causeway, Horsham, West Sussex, RH12 1HE. 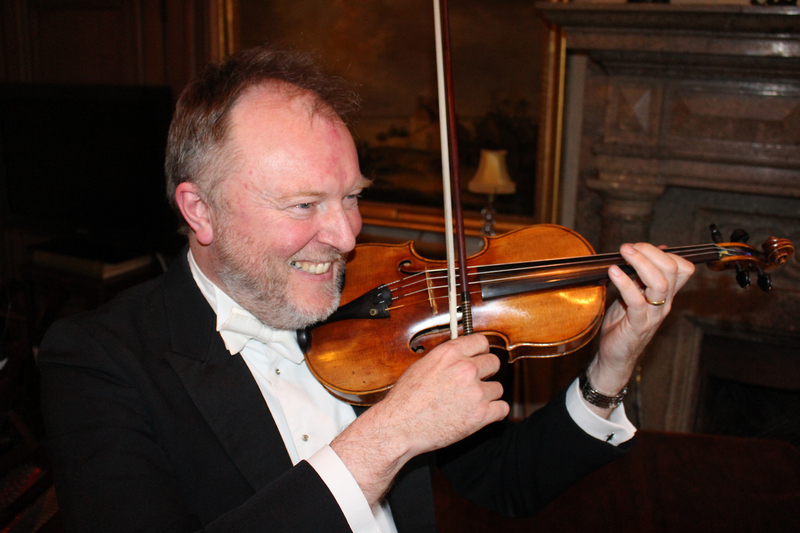 Advance tickets are priced at £10 each and can be purchased from the Capitol Box Office by telephoning 01403 750220 and from The Horsham Museum and Art Gallery. Tickets will also be available on the night at £12.50 each. The funds raised by the concert will be donated to the Friends of Horsham Museum. For more information visit www.thecapitolhorsham.com or www.horshammuseum.org. This week we commemorate the Battle of Hastings, fought not at Hastings but at Battle in East Sussex, on the 14th October 1066. King Harold’s death on the battlefield marked the end of Anglo-Saxon England. Duke William of Normandy would be crowned King of England on Christmas Day at the Saxon Westminster Abbey in London. In the September of 1066 news reached King Harold that a Norwegian army had landed at York under the leadership of Hardrada. Harold hurried north gathering an army as he went. He met the Norwegians at Stamford Bridge on the 25th September and inflicted a crushing defeat on the invaders. The English Saxon navy commanded some three hundred ships and dominated the seas, but it was kept at harbour by the prevailing weather as William, Duke of Normandy, sailed for the shores of England. He landed at Hastings, in what is now Sussex, and built a temporary fort. Harold now hurried south to defend his family lands and kingdom hoping to once again benefit from the element of surprise. Harold gathered the fyrd, the members of his senior professional army, and the housecarls to him. But William heard news of the Saxon army’s approach and moved to meet them at Battle. The Saxon’s fought on foot wielding their axes to deadly effect. They formed a shield wall around their King repelling the Norman batteries of crossbow arrows and Knights on horseback. The battle raged throughout the day and the Saxon line was broken as the Norman’s feigned retreat and Harold’s forces pursued them. The Norman’s final assault took place as the October autumn light faded. Harold, it is said, was killed by an arrow piercing his eye. 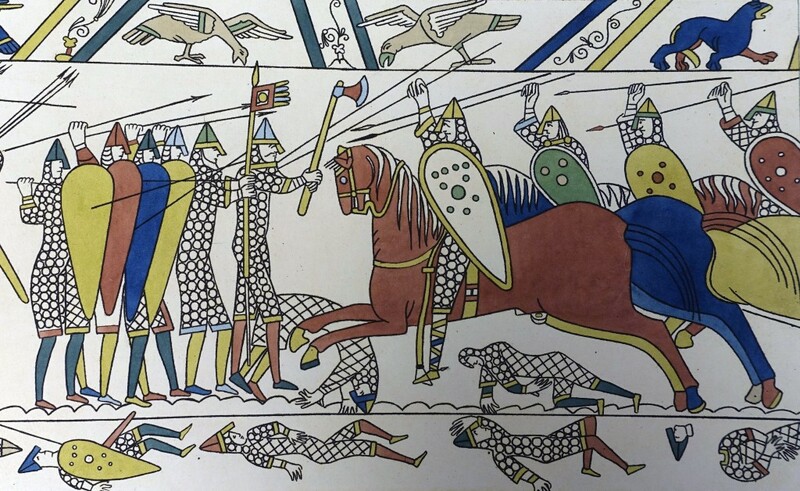 These scenes were captured in the Bayeux Tapestry. The tapestry was embroidered in coloured wools on a linen strip measuring 230 feet long and 20 inches high. The tapestry shares many similarities with Saxon illuminated manuscripts. Many academics believe that it was worked by Saxon craftsmen at Canterbury. 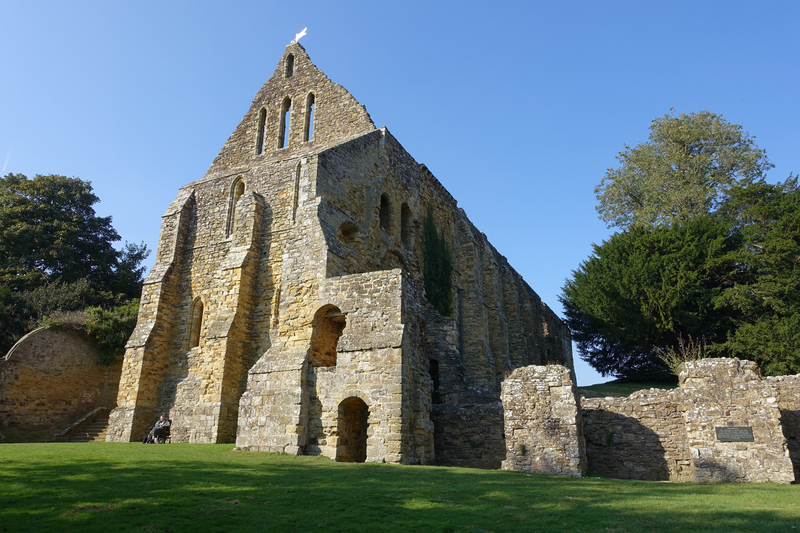 The great Benedictine Abbey was established at Battle by William to give thanks for his victory. It flourished for more than 400 years until Henry VIII’s suppression of the monasteries during the Reformation. As you stand amongst the ruins of Battle Abbey there is a stillness which makes it hard to imagine the fierceness of the bloody, long and hard fought battle. William insisted that the High Altar be placed over the spot where King Harold fell and today a plaque marks its position in the Abbey grounds. England would be changed forever as the Normans built over and upon the rich foundations of the Saxon kingdom. Sussex is rich in Saxon art and history and there is much to be rediscovered. 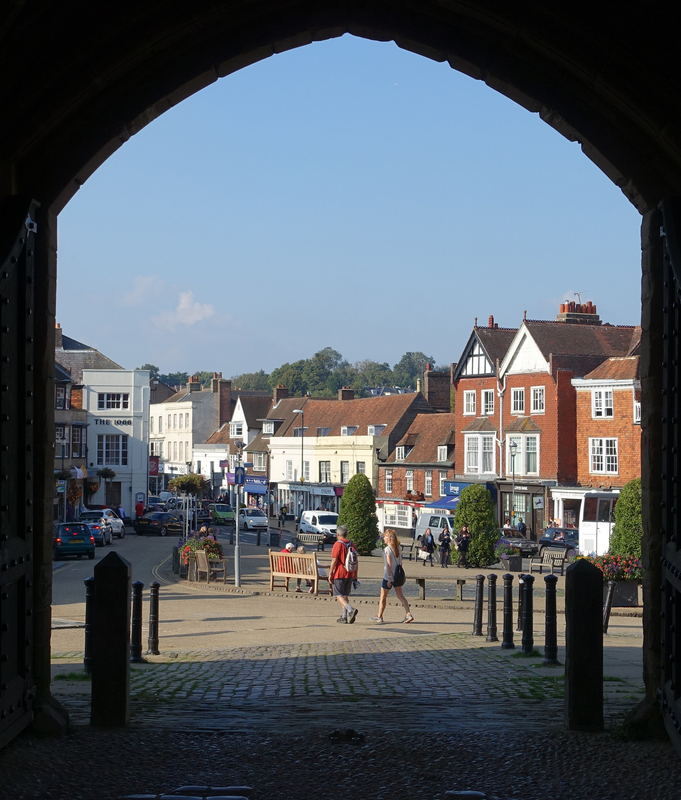 The town of Battle, with its picturesque High Street, has always been dependent upon its Abbey. This weekend the town will celebrate the 950th anniversary of this famous battle with a series of events. To find out more go to www.battlelocalhistory.com/battle-950 and www.englishheritage.org.uk. 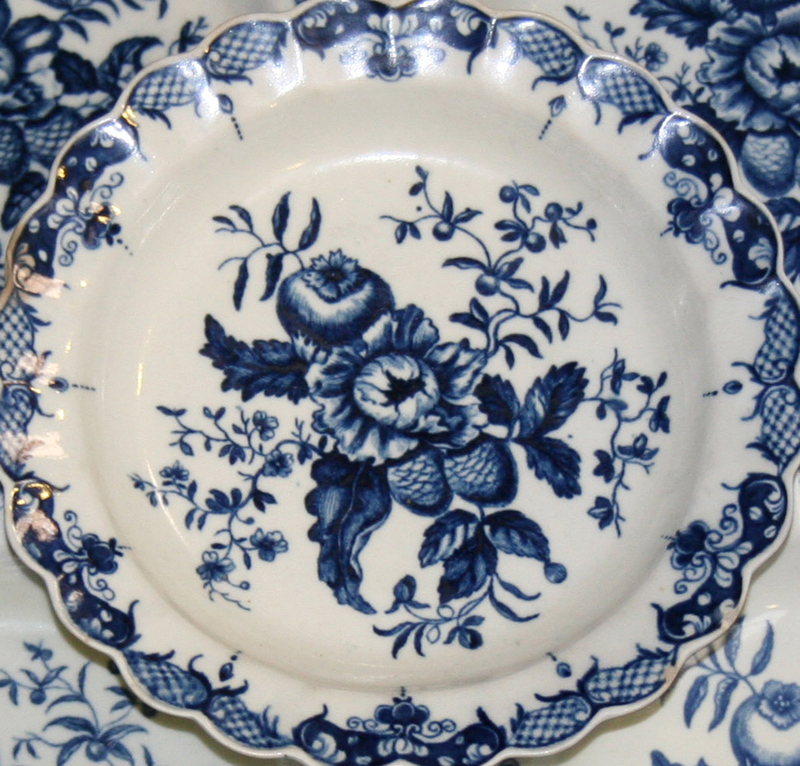 Blue and white ceramics have always delighted me and none more so than 18th century English porcelain. The famous Sussex based ceramic historian, the late Geoffrey Godden, always maintained that ‘blue and white is the right colour for porcelain’. These individually handmade objects were made for use and this domesticity lends a particular charm to these beautiful and affordable objects which are often decorated with anglicized interpretations of Chinese decoration. There is an honest un-laboured quality in these depictions. 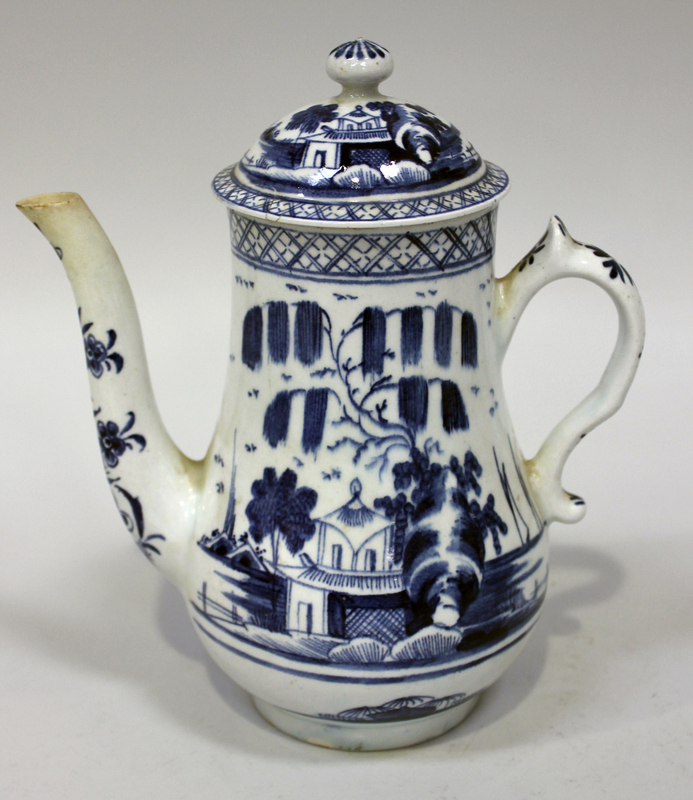 English blue and white porcelains date from the mid-to late 1740s onwards. Amongst the early makers were Bow in London and Worcester. Founded in 1744 by Thomas Frye and Edward Heylyn Bow was one of the first two porcelain manufacturers in England. Bow’s output included fine figure models and vases. 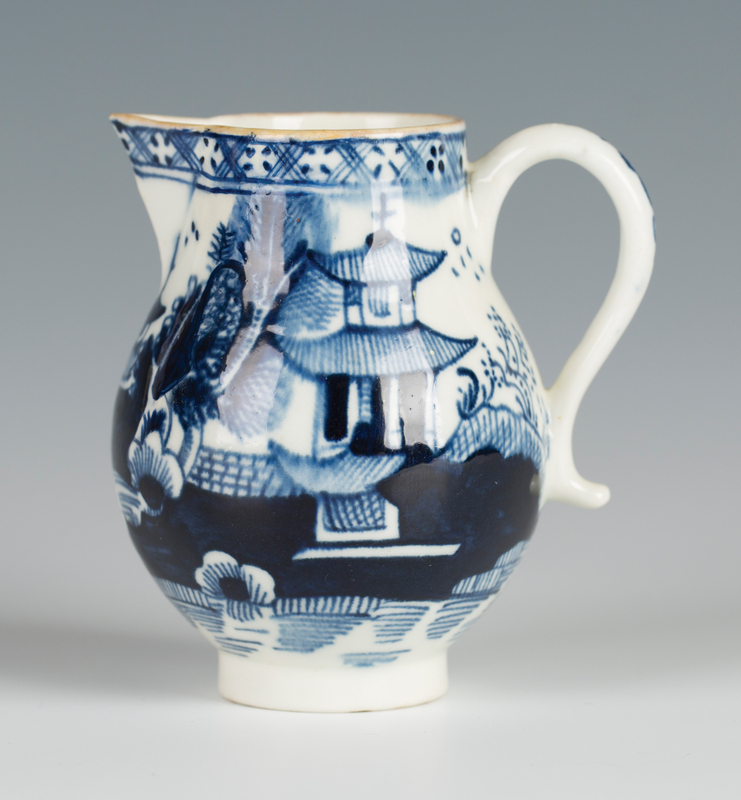 However, its primary objective was the production of much less expensive blue and white porcelain imitating the Chinese porcelains which arrived in the East India Company warehouses as part of the thriving export trade to this country. Bow’s blue and white was made in large quantities, leading many ceramic historians to believe that it was the largest porcelain manufactory in the 18th century. Take for example the Bow blue and white porcelain coffee pot and cover dating from 1765 painted in the Chinese style with pavilions and trees within trellis borders. The handsome baluster shape of the Bow coffee pot is also employed in the charming Lowestoft cream jug. Made in about 1775 it again shows the influence of the imported Chinese porcelains of the time. The Worcester factory came in to being in 1752 when Benjamin Lund’s highly sophisticated and experimental Bristol factory merged with Dr John Wall’s Worcester. The Chinese taste was once again highly influential. Largely thanks to the work of Robert Hancock, who would become a partner of the firm, by the late 1750s Worcester had become pre-eminent in the use of transfer printing on porcelain in terms of output, quality, clarity and aesthetic design. 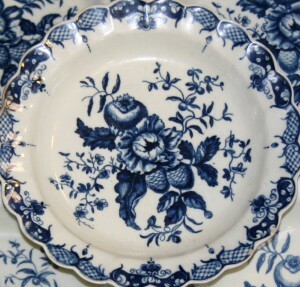 The ‘Pine Cone Group’ pattern was the most celebrated of all the underglaze blue transfer prints at Worcester. It was principally used on plates, as seen here, and baskets of the 1770s. It was copied by Lowestoft and other English factories. 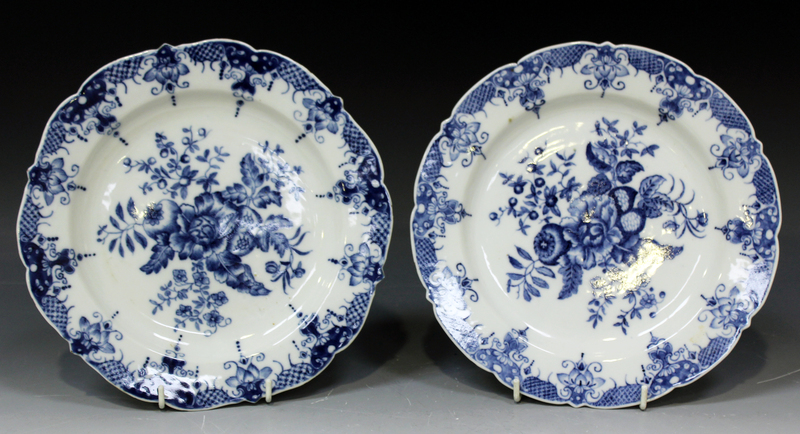 The ‘Pine Cone Group’ pattern was even copied by the Chinese as shown by the extremely rare pair of plates illustrated. Prices for 18th century English blue and white porcelain remain accessible for now, with examples like these fetching from low to mid-hundreds of pounds in Toovey’s specialist auctions. As values for Chinese porcelain continues to rise these English interpretations of the Oriental taste represent great value. And after all blue and white is the right colour for porcelain!